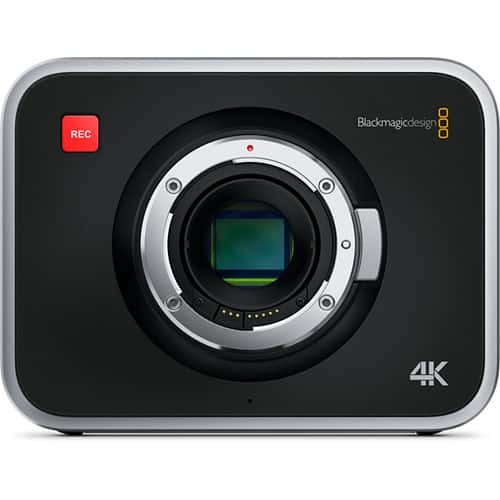 The Blackmagic Design Production Camera 4K features a Super 35mm sized image sensor with a global shutter and a Canon EF compatible lens mount. 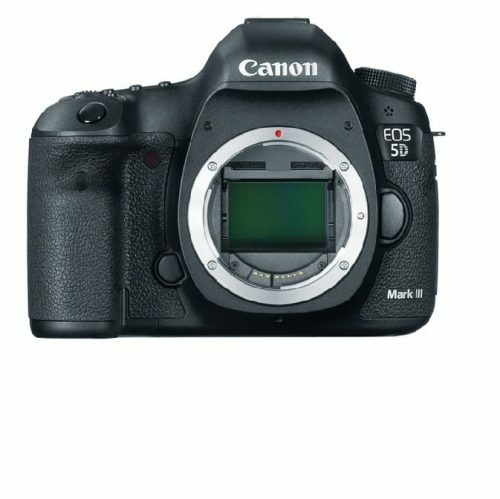 The camera is capable of recording Ultra HD 4K in the visually lossless, compressed CinemaDNG RAW or Apple ProRes 422 (HQ). The built-in recorder utilizes removable 2.5″ SSDs, which enable the high data rates required by RAW and 880Mbps ProRes. 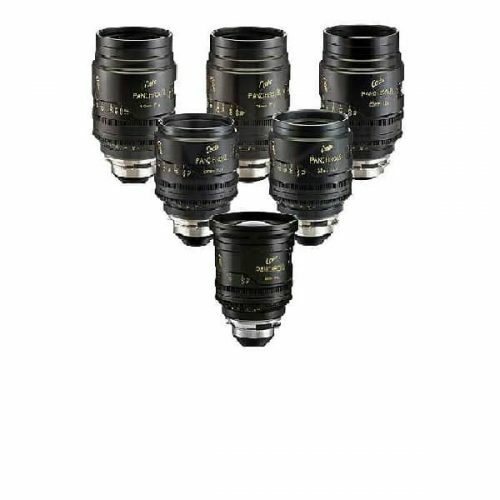 The camera’s ability to expose for 12 stops of dynamic range lends the image a truly film-like look, and the Super 35mm (21.12 x 11.88mm) sized sensor approximates the standard of traditional film. 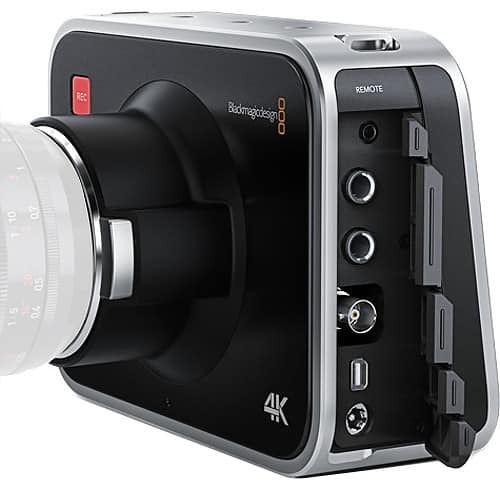 The Blackmagic Production Camera 4K retains the beautifully crafted design and machined aluminum chassis of the original Blackmagic Cinema Camera. 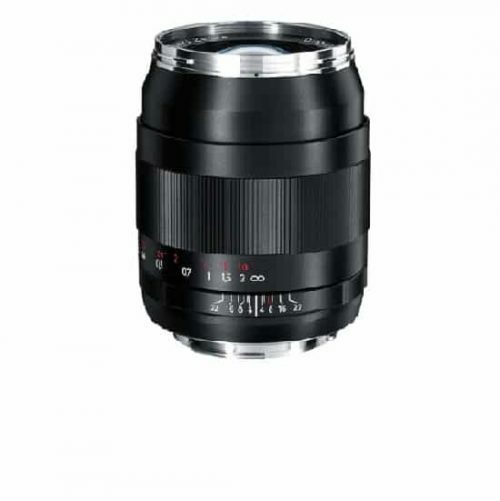 Much like its predecessor, this camera features a 5″ touchscreen LCD display with 800 x 480 resolution, which enables monitoring and playback as well as an efficient means for navigating the menu and entering metadata. The camera also includes a full license for DaVinci Resolve color grading software and UltraScope for live scopes via a Thunderbolt connection. PLEASE NOTE: The camera cannot format SSD drives. SSD drives have to be formatted (via an external 2.5″ compatible dock) as HFS+ on a Mac, or by using Macdrive (not included) on a Windows PC. The camera’s built-in recorder utilizes removable 2.5″ SSDs. 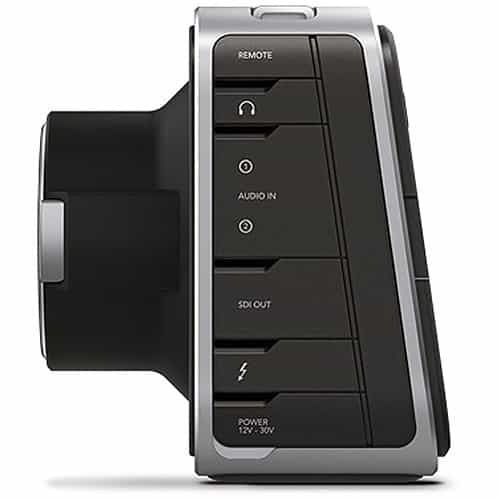 You can playback directly from the camera, mount the disk to any computer, or use Blackmagic Design’s HyperDeck Studio deck. When finished shooting, simply connect the SSD to a computer and edit or color grade shots straight from the disc. The Blackmagic Production Camera 4K uses standard connections, so you never need to source custom cables. It includes a 6G-SDI connection for Ultra HD resolution or down converted HD output over a single SDI cable. The built in Thunderbolt connection lets you plug into a laptop computer and use the included UltraScope software for real time waveform monitoring, and the 1/4″ jack mic/line inputs enable high quality uncompressed audio recordings. Other connections include a 12 to 30 volt DC input, a 3.5mm headphone input socket and LANC remote control. The integrated 5″ LCD display features 800 x 480 resolution and touchscreen technology. Use the capacitive touchscreen to access menus and change settings such as recording format, shutter angle and more. Double tap the screen to zoom into the image for fast and accurate focus. Tap once on the screen to display the metadata entry page where you can enter information such as shot number, search tags, scene number, timecode and more. You can even set shot number and other data to increment automatically. This metadata saves directly into your files and is compatible with popular editing software, simplifying file management in post production. The Blackmagic Production Camera 4K also includes DaVinci Resolve color grading software and UltraScope. 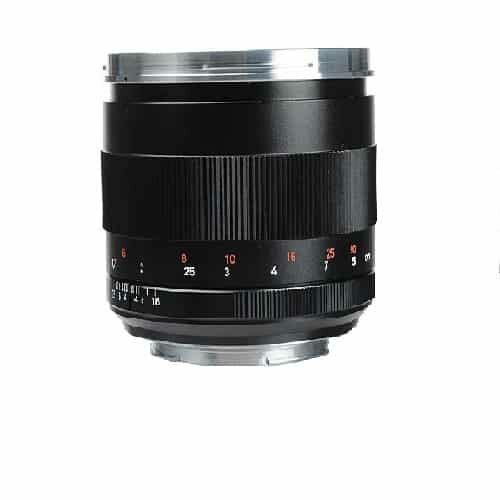 The FOCUS button turns the peaking display on and off, and the IRIS button adjusts iris settings when used with a compatible EF mount lens. Other features include an integrated mono microphone, a mono speaker, three 1/4″-20 UNC threaded mounting points on the top of the camera and one 1/4″-20 UNC threaded tripod mount with locator pin on the bottom. Media Removable 2.5″ SSD Mac OS Extended or exFAT format.